Cashback isn’t something new to you. But you probably never heard of online cashback. The cashback that im going to discuss today isn’t the normal credit card or mobile wallet cashback. This cashback is the applicable for online purchase. 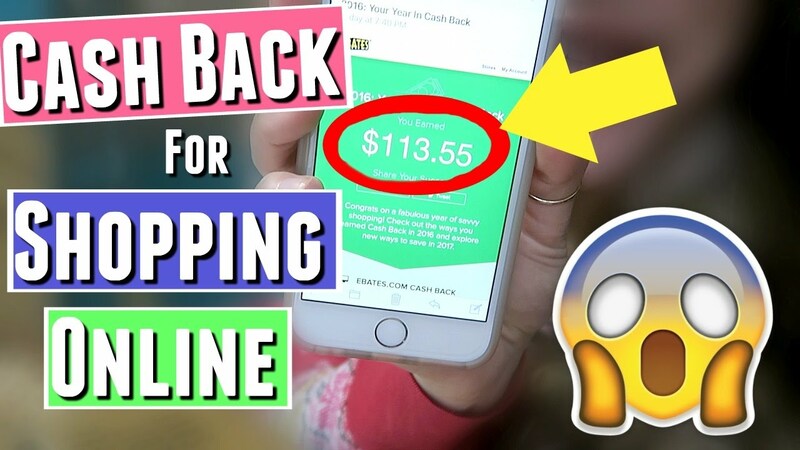 This is not any gimmick in fact online cashback has been existed more than 10 years after the introduction of online commerce around the world. In the U.K. there many Colleges or Universities students earn extra pocket money with the aid of online cashback. How does the online cashback work? It’s pretty similar to your credit card cashback, you purchase something, in return you will receive cash from the credit card. So does the same as online cashback, these cashback site have a list of merchants in their website. In order to get cashback from your purchase, you click on any merchant that you wish to purchase from, and will be redirect to merchant’s website. All you need to do is just do a normal purchase as usual. Once the transaction done, you will receive your cashback soon after the verified it. Are there any online cashback sites in Malaysia ? Yes. Currently there are not much player in the market. Are you curious why is it the online merchants are so generous to give you cashback when you purchase from them, and why is it you have to go through the online cashback site? Is it a scam? Let me complete the puzzle for you. What’s the mechanism behind the online cashback? 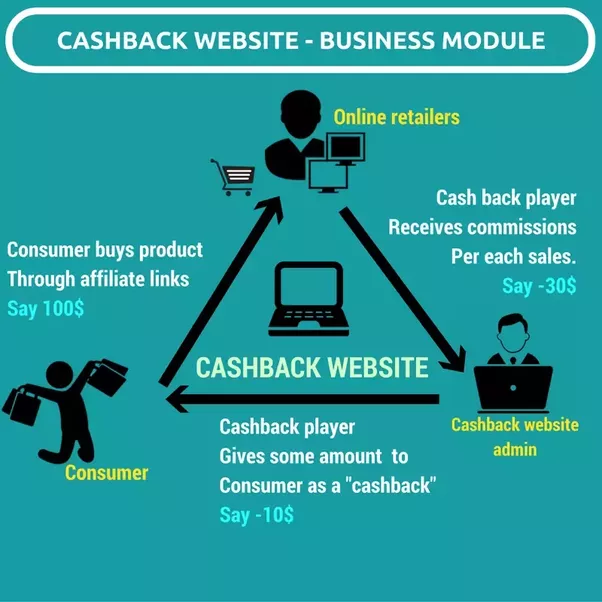 Cashback idea was originated from affiliate marketing. The cashback that you received from your purchase was part of the commission that given by merchants to the cashback site for bring sales to them. Online cashback site serve as an aggregator that has all the affiliate links in their website. Who ever click will be redirect to the merchant site. If you make a purchase from the merchant the merchant will know that you are from this cashback website. The cashback site will record “you” have clicked this link at this timestamp. You will be redirect to merchant’s website. There will be an unique cookies stored in your browser. The unique cookies usually have a lifespan of 30 – 60 days. The unique cookies is an identification bit that indicate you are from came from the cashback website. When you purchased something in the merchant website, the system is able to track this purchase was referred by the cashback website base on the cookies that stored in your browser. The merchant will eventually pay the commission back to the cashback site according to the sales amount. Because the cashback site has recorded “you” have clicked the link earlier and made a purchase within the timeframe, they are able to return part of the the “commission” to you as your cashback. Usually 20% for them, 80% of commission for you. What’s the cashback site revenue model? Base on the above explanation you may think of the revenue model of the online cashback site is just the 20% commission from the merchants, but what underlying behind might shock you. Pay per action – You get paid when you refer someone to do some actions in the target site. Including register, send an enquiry, did a purchase, etc. Pay per click – You get paid when someone clicked the link and redirect them to the site. Pay per impression – You get paid when someone saw your merchants’ banner in your site. They can get paid with advertising fee to promote the merchants in their site. In some cases, they can get paid when you click on the merchant links that do know do any purchase. They can get paid if you clicked on the merchant link and did purchase but….. you didn’t logged in to the cashback website. They will get the commission 100%. This a new opportunity and a new raise for e-commerce in South East Asia. We’ve the complete engine system and the expertise to run the entire cashback system. Check out our demo here: http://cashback.bravonet.my/. For more info please contact us.